Located in the north of Kyoto, Golden Pavilion or Kinkaku-ji is an iconic zen Buddhist temple famous for its incredible golden colour. A World Heritage Site part of the ‘Historic Monuments of Ancient Kyoto’, the Pavilion is a quintessential figure of Japanese architecture. 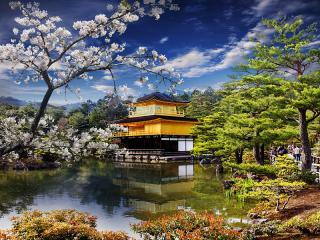 Having been featured on a number of postcards and scenic prints of the region, the Golden Pavilion is one of the most popular buildings in Japan. Located in Kamakura in the Kanagawa Prefecture, the Great Buddha (Kamakura Daibutsu) is a monumental bronze statue at Kōtoku-in Temple. Said to date back as far as 1252, the outdoor statue is a bronze casting of Amitābha Buddha and is a popular tourist attraction. 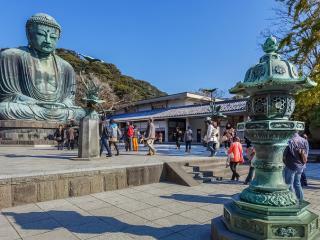 Measuring 13.35m tall and weighing approximately 93 tonnes, it is the second tallest bronze Buddha statue in Japan. 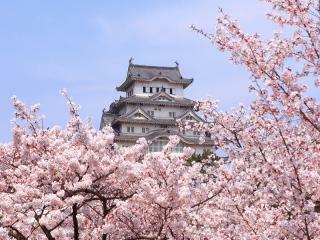 The most spectacular castle in all of Japan, Himeji Castle is situated on a hilltop in the Hyōgo Prefecture. Also known as White Heron Castle, the UNESCO World Heritage Site is a national treasure and it’s pristine white exterior is said to resemble a bird taking flight. Unlike many castles in Japan, Himeji Castle is unbelievably well-preserved and has never been destroyed by wars, earthquakes or fires. Located on the borders of Yamanashi and Shizuoka Prefectures, Mount Fiji is perhaps Japan’s most iconic tourist attraction. A perfectly shaped, active volcano is the highest mountain in Japan and is a sacred mountain that has been worshipped for years. 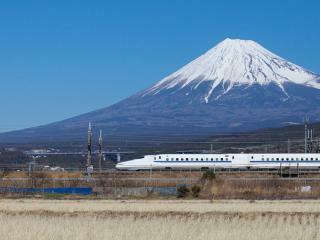 Measuring 3776m, Mount Fuji can be seen from Tokyo and Yokohama on a clear day and, although considered an active volcano, has not recorded an eruption since 1708. Tokyo’s oldest and most significant temple, Sensoji Temple is an ancient Buddhist temple in Asakusa, approximately 30 minutes from Tokyo by train. 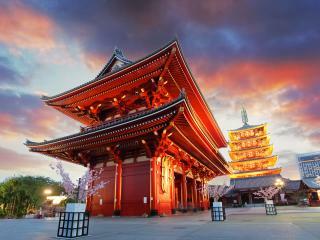 One of Tokyo’s most colourful and popular temples, the temple itself is only part of the attraction. The bustling street leading up to the temple is also full of vibrant street vendors, cafes and restaurants with around 90 vendors in just 200m making the Nakamise shopping street as much a part of the experience as the temple. 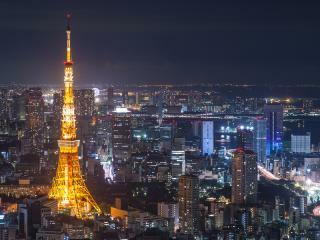 An iconic part of the Tokyo skyline, Tokyo Tower is a popular tourist attraction known for its incredible views of the city both day and night. The world’s tallest self-supporting steel structure, the tower was built to resemble the Eiffel Tower in Paris, France but is actually 13m taller measuring a whopping 333m. A tribute to Japan’s rapid industrialisation, the tower was completed in 1958 and is now a spectacular vantage point from which to view the twinkling sea of neon lights of the city.